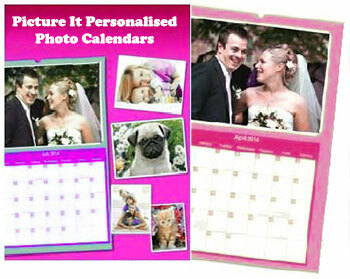 Picture It Personalised PHOTO CALENDARS. Share a year of special moments. Use chosen photos and treat family and friends to a unique calendar, personalised by you. Have your own unique calendar with a different photo for each month of the Year plus one for the front cover. A4 Calendars, A3 Calendars, Desktop Calendar or Slimline Calendars. Brighten up your wall or Desk with Your Own Personalised calendar. Highlight Special Dates with Text.